Register your Chili by April 21st! (See flyer for details). 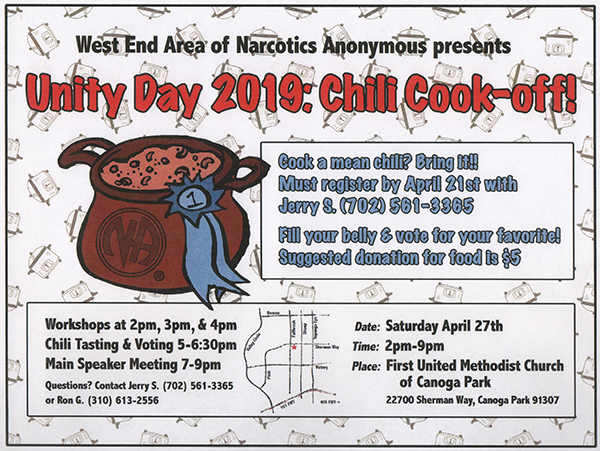 Chili Tasting & Voting 5-6:30 pm (Donation).